This message was preached by Wellington Gomes at Word of Grace Church on March 25th, 2018. Wellington has been a friend of Word of Grace Church for many years. He leads the River of Life Church in Panjim, Goa that belong to the NewFrontiers sphere 'Commission'. To listen/download the audio please click here. To listen to the Sunday's worship and prophetic contributions please click here. 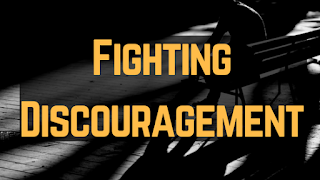 We are going to look at the book of Nehemiah and I want to talk to you about how to deal with discouragement. It is one of Satan’s biggest weapons. We are called to rise up and do what God has called us to do. We all get trapped into discouragement, but we will look at how to get out of it. Whenever you have a dream from God, the first thing that hits us is problems. Joseph had to go through a huge process before his promise was fulfilled. At first, we get excited about the thing God has called us to do. Then we get discouraged. Then we blame someone. The innocent gets punished and the wrong people get appreciated. Nehemiah heard from 2 of his guys that the wall of Jerusalem is in a bad shape. He is burdened with this thing. So he made a huge plan to rebuild the walls. The walls are a protection and an identity. So when the wall is destroyed, it means that they were disgraced. Nehemiah builds this at a miracle pace of 52 days. Everyone who has made it big has made it because he persevered through problems. Everyone goes through a struggle. The God of heaven will give us success. But these guys did not give up. 1. Words: People are going to say things to discourage us. When I became a Christian, people ridiculed and challenged me that I will not last more than 5 years in my Christianity. It’s been 30 years and I am as passionate about God! If you can keep your eyes fixed on God and move forward, nothing is impossible with God. Words are the most discouraging thing. Even with your children, don’t put them down using negative words. They will become what you say they are. Always have positive attitude. 2. When words don’t work, they start using physical threats: I got physically threatened many times. We will see the victory, please don’t give up. Don’t make excuses, get through. Even people who don’t know God work like that. How much more should Christians be determined to go where God has called us to go? There are too many Christians giving up too easily these days. Nehemiah 4:11 “Also our enemies said, “Before they know it or see us, we will be right there among them and will kill them and put an end to the work.” Did the walls stop? No way! 3. Sometimes discouragement can come from your own people: we face that all the time. We get a brilliant idea, and someone will say something discouraging. When we come together, say words of faith to one another. If you have a vision, however slow it may be moving, it will come to pass. I told the church when we were 10 people that we are going to reach 1000 people in the city. Now we haven’t reached a 1000 people yet, but our reach is going further and further. I believe the dream God gave me, we are going to get there. If you can trust God, he will be with us. 4. Send intimidating letters: Today it is whatsapp Messages. Please don’t give up, we have great things in store. The difference between discouragement and disappointment is that you cannot choose disappointment. But discouragement is a choice. Sometimes you wake up not knowing how you are going to run this race. Q. How can you get out of this discouragement? 1. Get into the presence of God- he will refresh you. Nehemiah 4:4-5 4:9;6:9- In response to the threats, he would go back into the presence of God. 2. Don’t stop doing what you are called to do: some people even resign from their jobs when they are discouraged. You never make decisions when you are discouraged. We are building the walls of the city and the lives of the people in the city. 4. Encourage one another: When you reach halfway of any project, that’s when we feel down. We need to be careful we don’t give up at that time. 5. Be united: this is the toughest one for the church. If you put two Christians on an island, there will be 2 churches in 2 months. If we don’t learn to live with one another, it is a bad testimony. The Bible says, you will know they are Christians by their love one for another. Let’s do everything to guard the unity of the spirit. Let’s fight our battles together. Hebrews 12:3 “Consider him who endured such opposition from sinners, so that you will not grow weary and lose heart.”. We all go through challenges, but let’s not give up.